At the heart of the Llano Estacado region and within easy reach of over a million potential guests, we intend to develop a destination resort offering a full slate of equestrian and resort entertainment. This will be a place that embraces the region’s rich horse traditions with a unique and modern racetrack. That celebrates cuisine inspired by the best local flavors. That builds on an architectural heritage 7,000 years in the making. That offers gaming and signature entertainment, as well as dreamy accommodations. This resort, situated in the friendly city of Clovis, New Mexico, is destined to enchant. Read "The Thoughts Behind La Posada del Llano" for an in-depth look into our vision. We also invite you to read the Independent Market Analysis and Economic Impact Study completed by Spectrum Gaming Group. "La Posada Del Llano," Spanish for "The Inn on the Plains," is an inn in name only. It will be inspired by New Mexico's unique style of cuisine and architecture. We intend to establish nothing less than a top regional destination resort centered around a modern casino and featuring a world-class equestrian facility alongside a stunning desert golf course. The one-mile long racetrack will feature the world’s first Moving Grandstand for the ultimate viewing experience. At La Posada Del Llano, the racetrack and casino experience are integrated so guests can enjoy the best of both worlds. You can view and bet on races from your slot machine or experience the jockey’s point of view in the virtual reality bar. The action can be enjoyed on our restaurant-style patio, where you can place bets from your mobile device, or from one of the luxurious Sky Boxes. The racetrack will feature Quarter Horse and Thoroughbred racing. Our horse-friendly resort will feature a hotel stable with sport riding horses and overnight accommodations with five miles of bridle paths for the horses to roam around. The 35,000 sq. ft. casino will house the newest and most popular slot machines, as well as, a state-of-the-art race and sports book. Bet on races simulcast from around the country. 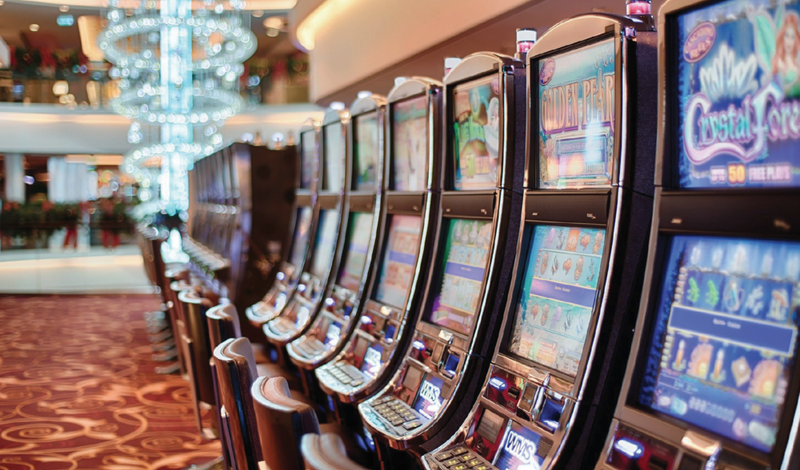 Those who wish to combine their slot playing with horse betting will find their slot machines feature pages detailing the odds on upcoming events. They’ll be able to place bets from their slot seats and even watch the race on their slot screens. Plus, the new sports book will allow guests to enjoy betting on all their favorite teams. 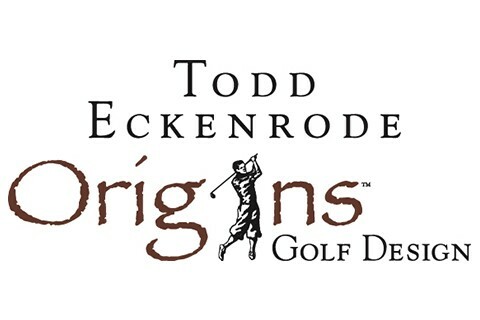 An 18-hole golf course designed by award-winning Origins Golf Design offers the only PGA quality course in the area, along with lush green fairways and inventive watersmart landscaping. Guests will find challenges for all levels of play. The spacious clubhouse, with its upscale amenities and eatery, will welcome those who wish to unwind after a day on the links or the driving range. Just gather your foursome and reserve a tee time for exceptional golf under a vast blue sky. 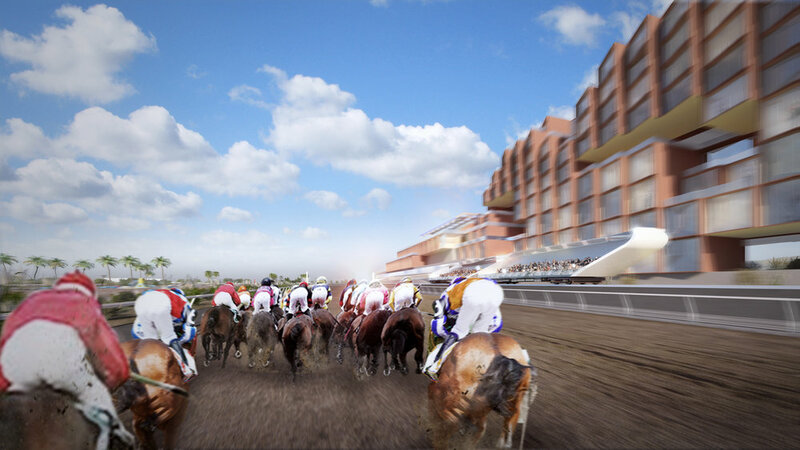 With an emphasis on grand, our racetrack proposal features a groundbreaking, Moving Grandstand that follows the race around the track for the ultimate viewing experience. Never before attempted, the Moving Grandstand will accommodate over 100 fans enjoying the most unique horse race spectating in the world. Others can appreciate the race from the restaurant-style patio seating, or even their hotel rooms, while placing bets on mobile devices. Or head atop the casino roof to get a bird’s-eye view of the track from the intimate grandstand there. By bringing the excitement up close and personal, through the cutting edge technology of our very own production room, our racetrack will reinvent the way people experience this storied sport. We're refining a concept that can be seen at the Poughkeepsie Regatta rowing race in 1934. A moving train races alongside the river, allowing fans to follow all of the action. We want to provide the same experience for horse racing fans. Race side-by-side with the horses on our Moving Grandstand. 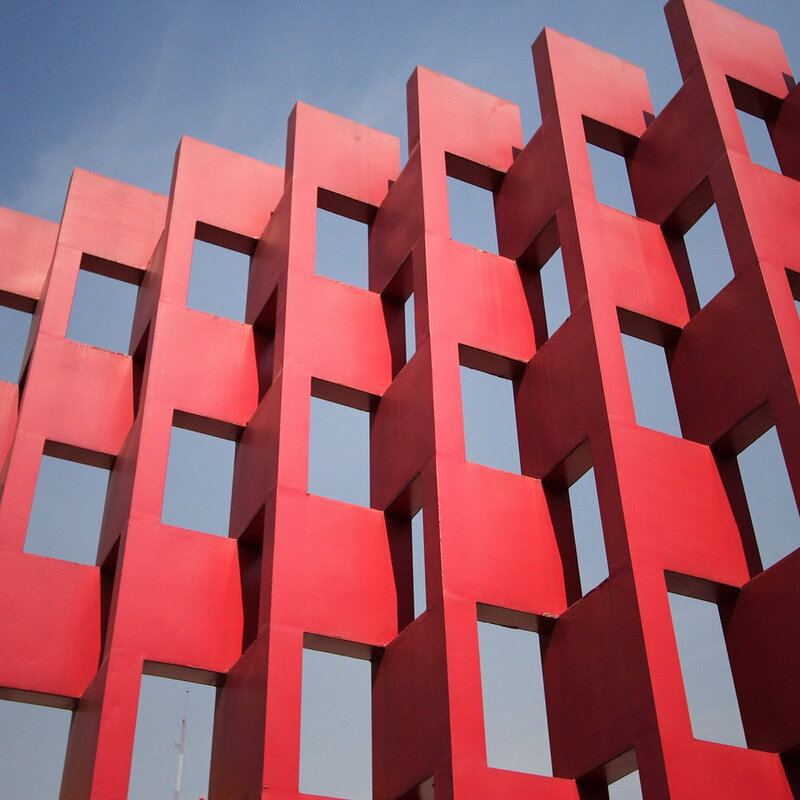 We want to give you the most exciting vantage point. 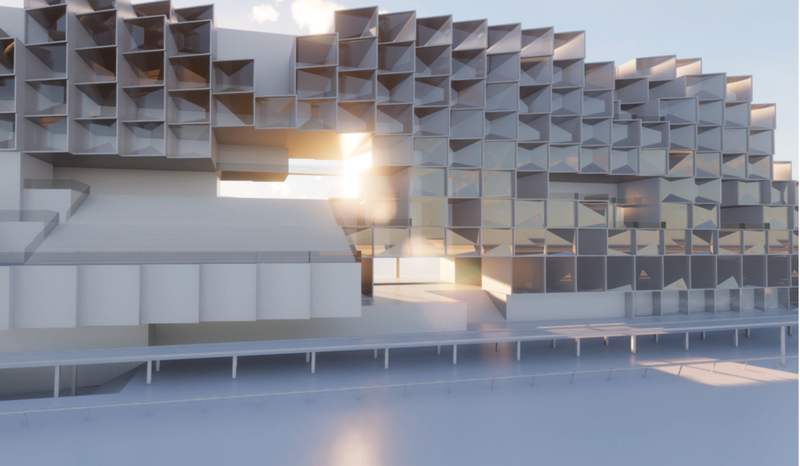 Similar to how you see the train following the crew race alongside the river in the video above, we are developing the Moving Grandstand to follow right alongside the horses on the track. We are creating an innovative grandstand to put fans horseside. Considered home to one of the New World’s first civilizations over 12,000 years ago, Clovis has survived and prospered through generations of changes. Ancient civilizations once hunted woolly mammoth here, thousands of years before the Egyptian pyramids were built. Our proposed site sits on 520 acres of land directly off of Highway 60, a mere three miles from the Texas border and easily visited by folks hailing from New Mexico and Arizona to Northern Colorado and Texas. Several highways intersect here, racing through farms and ranches. And people will drive down them, knowing that what awaits goes beyond gaming thrills. This place will offer an escape sure to enthrall and delight.